Sharing a living space can test friendships and relationships but what if things were much, much worse and you were sharing a home with someone you really dislike? 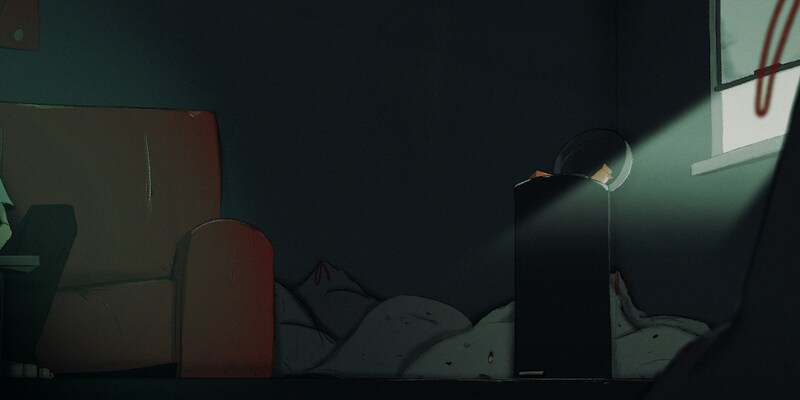 This is the premise behind Connor Bland’s UCLA animation FlyTrap – which follows a germaphobe as he struggles to live with the unsanitary habits of his housemate. 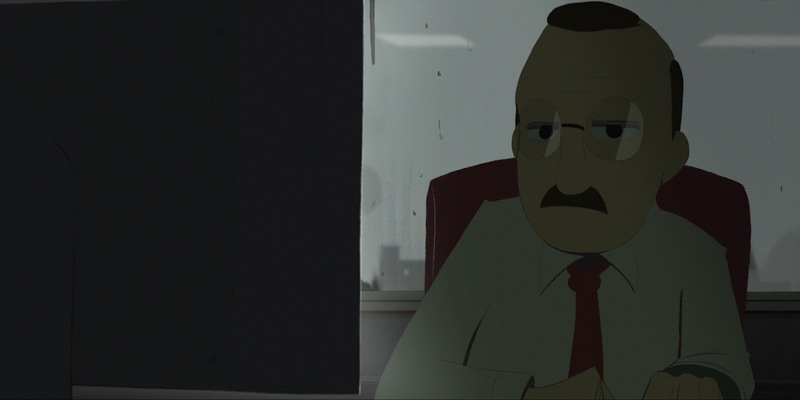 A relatable, tense watch, elevated with cramped visuals and a huge dose of paranoia, Bland’s film has stuck with me ever since I first saw it at the 2018 edition of the Manchester Animation Festival. 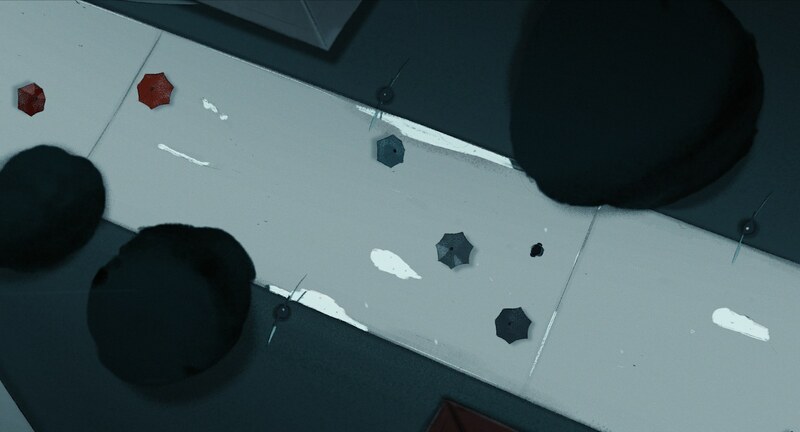 Thanks for joining us to discuss FlyTrap Connor, I’ve seen your short several times now and with each viewing I’m struck with how unique it feels, can you tell us a little about how this story came to fruition and what made you want to tell it? Funny enough, the story is actually inspired by a personal experience of living with a new roommate a few years ago, and there were frustrating domestic habits he carried that I had trouble living with. Looking back on the experience now, it’s quite laughable, but from talking about it with friends and peers I realized how relatable this story actually is. The notion of living under the same roof with someone you truly dislike… that stuck with me and felt like something other people would connect to. The story is more focused around the main character’s paranoia. With themes of paranoia running through the narrative it makes for a tense and uncomfortable watch, what kind of reaction were you hoping to provoke from your audience? Like you mentioned, my initial hope was to provide a tense, dreadful watch. A lot of that, while carried by the VO, is enhanced with cramped visuals and eerie representations of who this ‘roommate’ is. I knew showing this character wouldn’t provide as much impact as it is without him since the story is more focused around the main character’s paranoia. As I kept working on the film, I actually wanted to extend the length of some shots just slightly to keep the viewer focused on what they’re seeing, as gross as it may be. While a slightly longer timeline, I hope the extension provided a more intense watch. I wanted the VO to reveal someone with a creepy sense of entitlement. The film is driven by a venomous voiceover from the protagonist, what made you decide to adopt this approach and what do you feel the VO adds to the film? In regards to an email being the driver for the plot – Another friend and I had actually sent an email to a housing advisor (I assure it was much less disturbing). Nothing came of it… but while I was thinking of how I can bring this story to life, I thought it was an interesting, bizarre perspective. Immediately after, a lot of classical horror tales came to mind, especially ones of Edgar Allan Poe. When creating a more contemporary spin – I obviously had to create a character that would fit the mold of this dreary environment. I wanted the VO to reveal someone with a creepy sense of entitlement, who is firm in what he wants and hopes the person he is emailing back to can understand his viewpoint… as ridiculous and uncomfortable as it may be. I hope the VO helped push the tone of the short and the unusual psychological nature of this character. I actually changed the ending a few weeks before I had to submit it. The pacing and structure of the film means you squeeze a lot into the short’s 7-minute run-time, did you always have a set duration in mind or were there scenes you had to cut? I never really had a set range in mind, but from my prior two minute short, I did want to try and expand my timeline… A few scenes were cut or replaced even during production… a risky move, but at the time it felt like it worked in my favor. I actually changed the ending a few weeks before I had to submit it for our annual UCLA Animation showcase and I was much happier with how it turned out… More ambiguous, less straightforward. A stressful process for sure but I tend to find so many more fascinating ideas as I become ingrained in the film’s production and the mood inspires me. Can you tell us a little about how you brought your film to life? How long did it take? What tools did you use? How big was your crew? The film started off with a rough email monologue and from there I created the storyboards and some visual development pieces. That took about the entirety of Fall (2017). My goal was to have it ready for our annual UCLA showcase the following June so I knew I had to start animating quickly. The crew was basically just my composer, Kate Bacich, and my voice actor, Weston Lord. The story was pretty personal to me, so I was okay with tackling almost all of it myself (tough, but an incredibly rewarding feeling). I also did the sound design, which is something I love to do if I’m not animating. The visual elements of the film are all created in TVPaint, and put together in Premiere Pro. 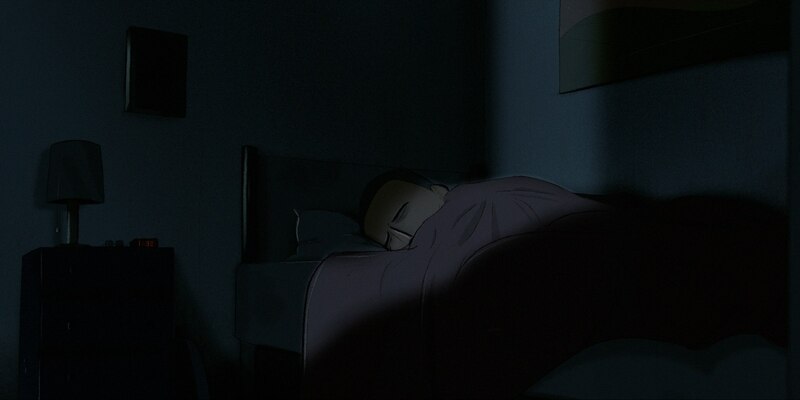 I have a tendency to paint my background and animate the characters in one animation software. While that method started off as a way to just be more efficient, it’s helped me hone my artistic style. Overall, the film took about 9 months to create. My instincts would actually be to just pick it apart. The film has had an interesting festival run – playing a mixture of animation and horror festivals – have you got to watch FlyTrap with a live audience at all and if so, what did you learn about the film watching it with others? I’ve been fortunate enough to attend a decent number of the festivals FlyTrap has been a part of. I’ve watched this film too many times, (usually by myself), and the disturbing elements don’t affect how I view the film any more. My instincts would actually be to just pick it apart as I’m in the theater watching with others. Luckily, people would give me positive responses during QaAs and find it to be something different, and definitely uncomfortable… in a fresh way. With FlyTrap now live online what are you working on next? I’m towards the end of development on my thesis film and plan to have that finished by the end of the year! I learned so much from creating FlyTrap and while I’m sticking to the horror genre again, I wanted to branch out of the ‘serial killer’ route and focus on the how a character’s fears can be unleashed from what’s ‘hinted at’. All of the internal anxieties, the loneliness, and how a present moment can be identified too closely with a distressing incident from her past. That’s the type of short film I’m working on and what I find so captivating about the genre! FlyTrap is one of the many great projects shared with the Directors Notes Programmers through our submissions process. If you’d like to join them submit your film.